This book, Vocations and the Universal Call to Holiness, corresponds to Elective D: Responding to the Call of Jesus Christ in the curriculum framework. In Baptism, God calls each of us to holiness on earth and to eternal life with him in heaven. 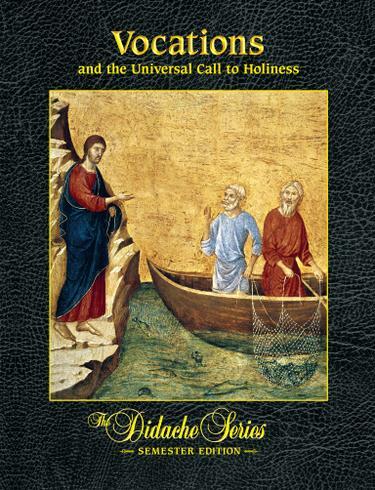 This text examines the universal call to holiness and its importance in the Christian life. It also analyzes the unique plan that God has for every person in the in the vocations to Marriage, Holy Orders, the consecrated life, or the committed single life. Finally, it explains how each person can prayerfully discern the will of God in his or her own life.